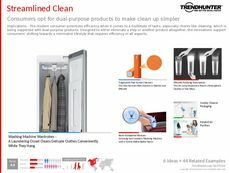 Find Better Ideas, Faster ® with a custom cleaning product trend report, our PRO Dashboard and 80+ categories of premium trend reports. When reading the Cleaning Product Trend Report, you will be learning about current, eco-friendly and tech-based products that help consumers with chores. 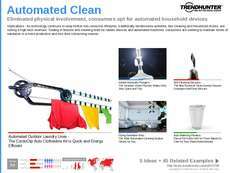 This report focuses on household products that are specifically designed to gamify cleaning. Technology has allowed brands to create products that encourage cleaning without the dread or emotional annoyance. 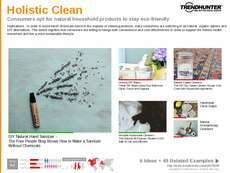 Additionally, we reveal the most ethical and environmentally friendly products that are currently available for consumers. In order to better understand the current consumer demographic for cleaning products, this report can be used as a guide to create fun products that make the act of household cleaning more appealing. It can also help product designers and developers to understand which products are eco-friendly and draw in more interest from environmentally conscious consumers. 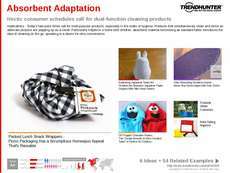 The Cleaning Product Trend Report aims to bring an awareness to the various alternative products being created for sustainable use and the gamification of chores.